Swingle, scoobie snacks,stinks, sleep and squirrels | So where's the snow? 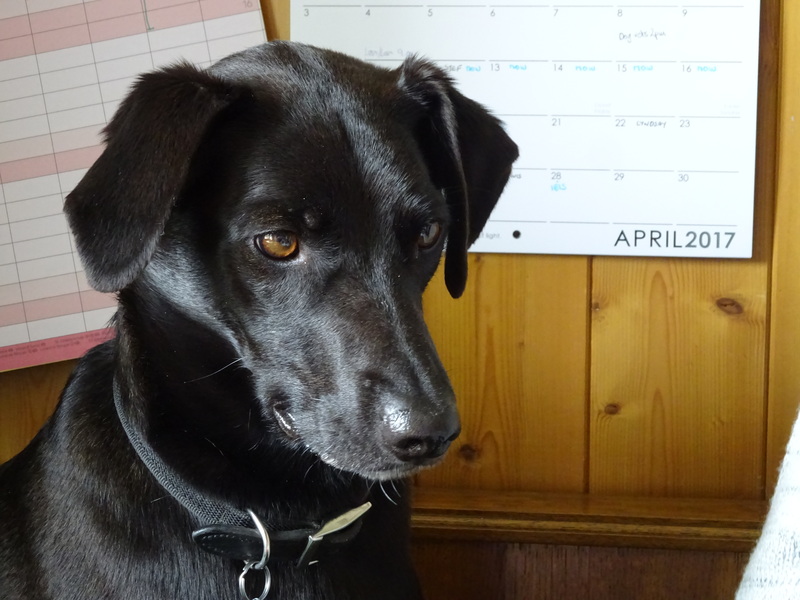 One medium sized black dog was nearly put up for re-homing last week! It began with the knowledge that she did need worming because she was so hungry all the time. I went out one afternoon leaving my new Primark jacket in the hall forgetting I had left her favourite scoobie snacks in the pocket. Result above, one ruined coat. 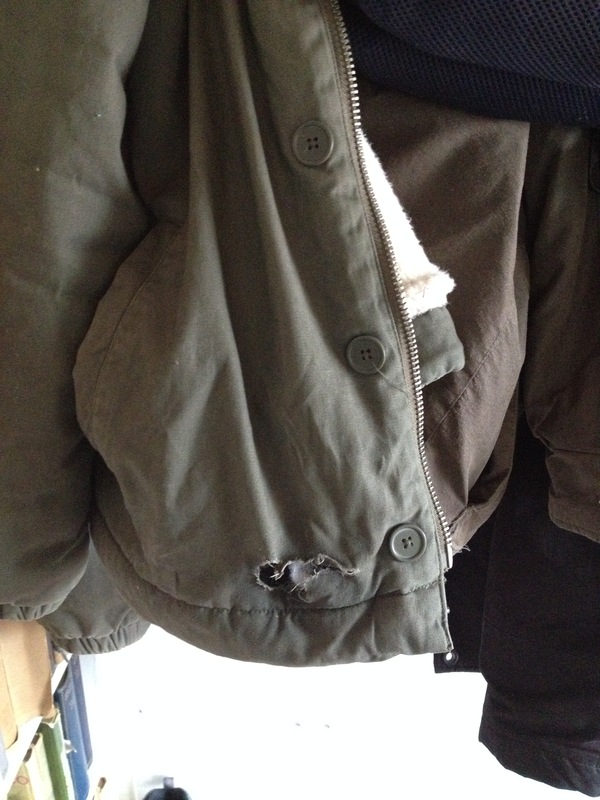 It wouldn’t have been so bad if I hadn’t just bought it on our last trip home to replace another much worn jacket that Swingle had chewed a lot in her first year, Dave said I looked scruffy in it, but I’d loved it. The only way I could get rid of it was leaving it in our son’s cupboard when we left the UK. The next day I took her for a walk by the pong house, one of our favourite ones in Tamsweg, and so so she found a dead fish and rolled in it. Result one furious dog having to have a bath, served her right. Then I got the worm tablets and as I had suspected and forgotten, she reacts badly to the chemical = two broken nights and another trip to the vets. Then one bleary eyed morning, I let her out then looked still bleary out of the kitchen window. On the bird table was one of the cute tufty black squirrels that have been pigging all the sunflower seeds. Swingle swaggered around the corner and scared it. But instead of leaping safely into the tree behind, it leapt into the greenhouse where I hope it actually knocked itself out it was so quick. So next thing, one pleased dog was finishing off the squirrel. She didn’t try to eat it and let me take it away. Poor Tufty. I’ve seen another one since, it was also a youngun, and this had the sense to jump into the Elderberry tree. Categories: Austria, Dogs | Tags: scoobie snacks, sleep, squirrels, stinks, swingle | Permalink.